Sun setting on Sicily. 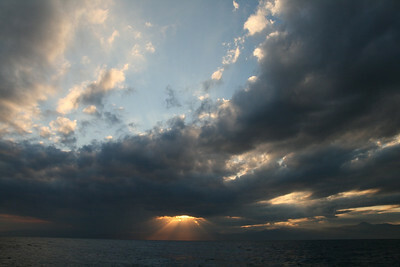 We were at sea for 3 days, sailing non stop from Greece. 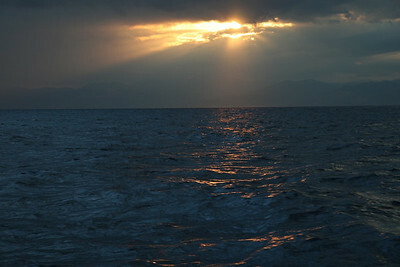 This was the end of our first passage on a boat delivery from Greece to Spain. 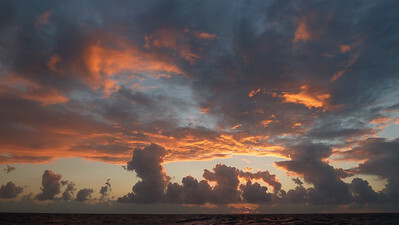 Volcanoes on the horizon. 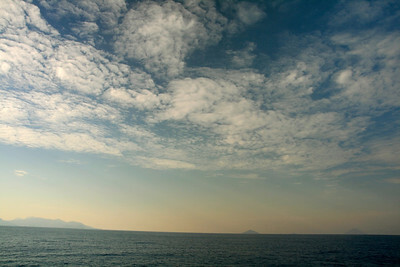 These are the Eolian Islands (where Stromboli is located) north of Sicily. Who says sunrises aren't as nice as sunsets? 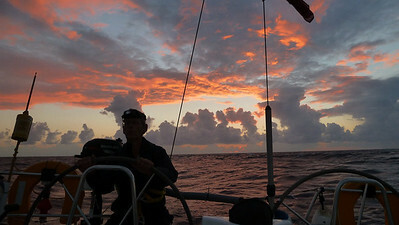 On the 6:30-10am watch with Jim at the helm. Getting up early has its rewards. 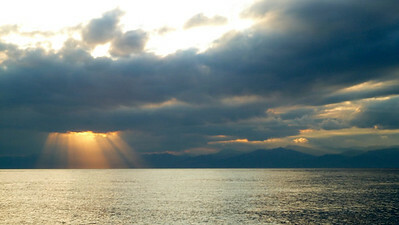 Sun setting on Sicily, south of the Strait of Messina. 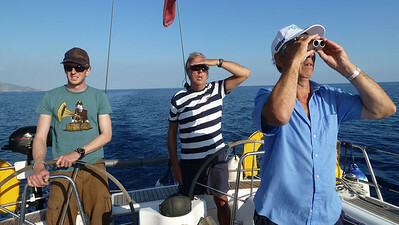 Off the south coast of Italy the crew looks in the distance for signs of Sicily, our destination at the end of our first passage.